Every person is responsible for his financial reputation as to destroy or to improve all lies in his hands. One of the greatest signals towards the implications of financial security is the awareness of one’s own credit score. What Banks think about Credit rating? In the current economic scenario, every person is dependent upon the getting credit from every basic to big financial need of life. With the availability of different loan options, one cannot resist from availing credits to buy even a single smart phone. However banks have their definition for the credit to be good or bad. Lenders have kept all of the credentials standards high. Thus, it is very necessary to understand the whole scenario of good credit. It is a financial rating of the borrower based upon the evaluation of his credit worthiness. Whole evaluation is done by the credit rating agency known as CIBIL in which they check the capacity of the debtor to pay back the loan availed. One’s Credit score follows till his lifetime and thus his monetary decisions play a huge role in your life. It is very essential to be well informed about the detailed information shared in the fine print. However people gets, confused with the two phrases credit score and credit report. A three digit number that summarizes the numeric history of one’s credit report. It is calculated by the taking all of the details of your borrowings done in the past, history, repayment pattern and default cases. It is taken in the range of 300 to 900. A score close to 900 is considered to be a disbursable case. It is the detailed history of one’s credit information. It includes information like balances, credit information, bankruptcies, personal identifying information and inquiries. What a Consumer must do? A consumer must examine the credit even he is not in the regular activity of borrowing from banks. It gets easier for him to identify all sorts of thefts and help him to protect his assets. He can easily qualify for a loan whenever he needs to take a loan for a financial emergency. What Factor affects the Credit Rating report? Length of the Credit History: 15 %. Type of Credit: 10 %. Borrower’s payment history is the game changer as the major of the credit score depends upon it. Late payments and high credit card balance can have a great impact on your credit score. Bad credit can also effect from insurance premiums to the employment opportunities to marriage. It is commonly referred to as Insurance factors that depend upon the credit score and other factors too. With the help of a good score one avail good discounts on the premiums. On the other hand, bad score can easily put down him into high premiums. Employers also look at the credit score with full faith. As it binds them with the employee with full trust. 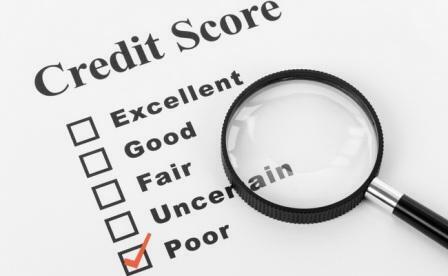 Most of the utility companies like electricity phone and cable keep the credit score as part of their application procedure. Hence it is very necessary to keep update on own CIBIL score to lead a peaceful financial life.